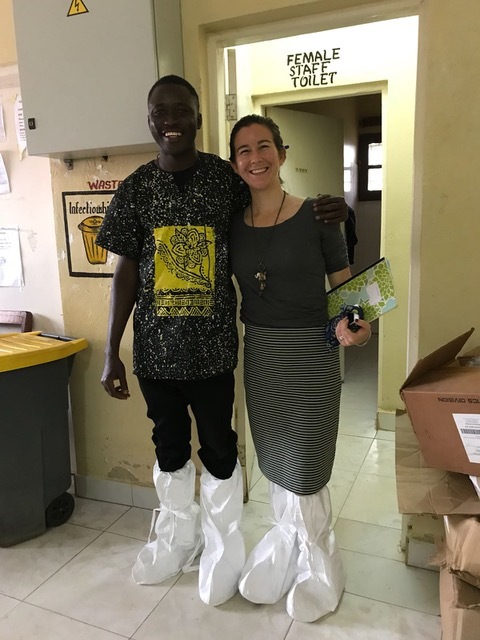 Before I begin, I want to point out that I share a lot of the same reflections regarding the need for human-level partnerships and collaboration about which my teammate, Sarah, wrote in her reflection of her (our) time with the Program in Global Surgery and Social Change in Ethiopia. In order to avoid repetition, however, I will use this blog to touch on a different aspect of my experiences this summer. Sitting here, trying to write this post, I realize this process is much more challenging than I had anticipated. As a frequent (ok, not-that-frequent) blogger during my time in Kenya studying abroad and Uganda as a Peace Corps Volunteer, I am a bit surprised. Perhaps it is because this summer has been a whirlwind—the whirliest of winds, in fact—and the insights I have gained cannot be found at the surface of this experience. As a result, the mere exercise of writing this blog is forcing me to reflect much deeper than I have yet done. How do I synthesize the highs and lows of the past weeks in an honest, yet coherent and constructive, way—particularly when the said highs and lows of this global partner experience cannot be processed in isolation from the past experiences of my personal (and professional) journey? Let me start a few steps back in hopes that contextualizing my perspectives will allow you to share more deeply in my reflections. I received my bachelor’s in Anthropology with minors in Global Health and African Studies, so it would therefore seem like I was a perfect fit for this project in partnership with PGSSC and Partners in Health (PIH) as they seek to improve access to safe and affordable healthcare—specifically, surgery—in resource-constrained settings. 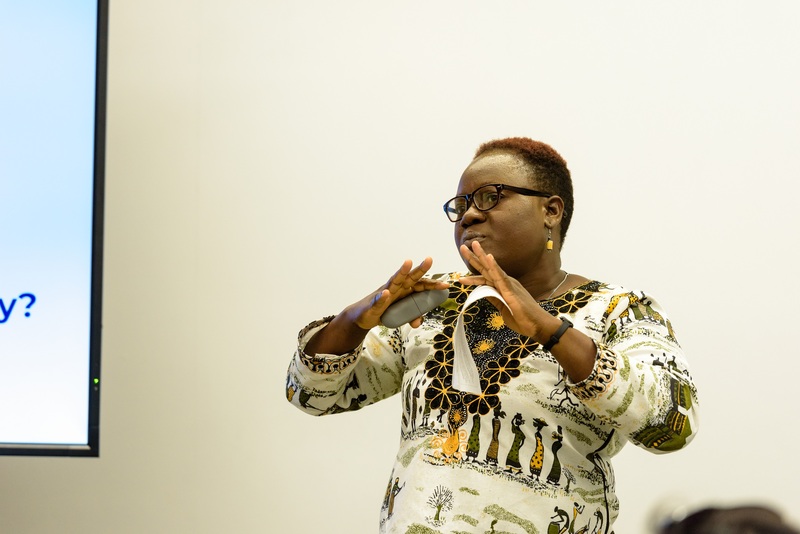 However, somewhere in the past few years, while my love for people and culture (particularly on the African continent) remained, my passion for global health was replaced by a fierce commitment to community development, youth empowerment, and gender equity work. 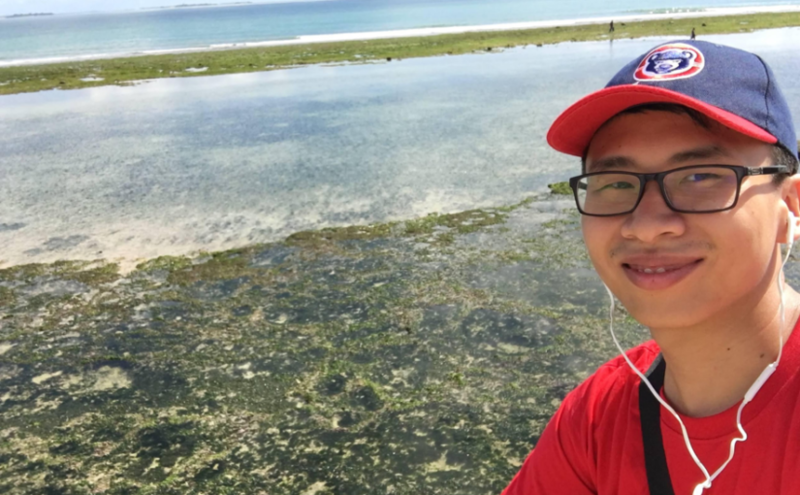 Therefore, as I began to learn more about the project, I often questioned how this would be different from my past experiences, or how I could contribute in a meaningful and effective way when I had already deemed that global health was no longer my life’s pursuit. I had built walls around my expectations for this project, fabricated a finite space in which the opportunities to learn and grow were limited to what I had previously experienced. Before heading out for the field earlier this summer, I was at peace with the focus and goals of this project and set my expectations accordingly. I had accepted that while this was not my calling, I could learn a thing or two along the way. Fast-forward to today. 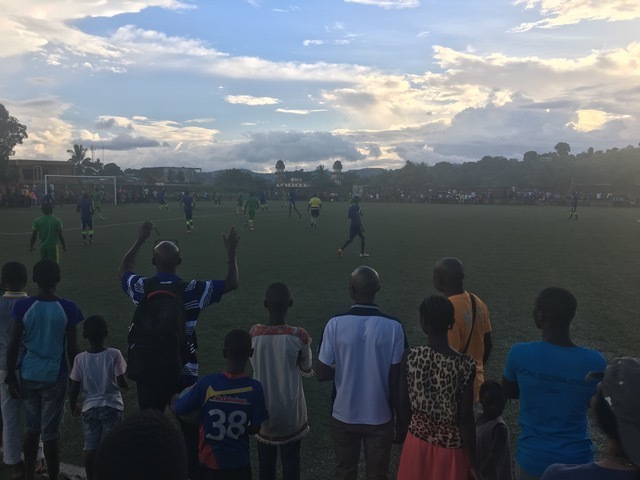 As I near the end of my time in the field (split between Ethiopia with PGSSC and Sierra Leone with PIH), I have realized how I was simply looking for meaning in all the wrong places. There is a quote by Eckhart Tolle that says, “I cannot tell you any spiritual truth that deep within you don’t know already. All I can do is remind you of what you have forgotten.” From where I am now, I feel like these are the wise words of this partner experience, not Eckhart Tolle. 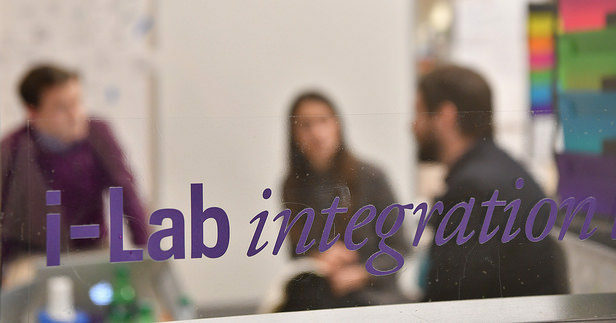 I am now recognizing that this i-Lab project (at least, for me, personally) was not meant to be a revolutionary experience, opening my eyes to “new worlds.” Instead it was meant to serve as reminder of what I had forgotten: people are my passion. I became so consumed in the tangible outputs and expectations, as well as the technical skill and knowledge, associated with this project that I forgot how much power there is in creating relationships and learning (whether about surgery or food or diamonds) from others. I forgot how true passion—passion for things that are greater than ourselves—transcends areas of interest or expertise; it does not matter if it’s youth and gender or global health and global surgery, if I am surrounded by people who are passionate about making the world a better place, I am right where I need to be. This experience has also reminded me of one of my favorite quotes (last one, I promise) from Rumi that says: “What you seek is seeking you.” I, like many people, am too easily distracted by both internal and external expectations for the concrete and measurable. The reality is, however, that what I truly seek in each experience is genuine relationships—relationships rooted in compassion and authenticity, and opportunities to see the world through a different lens. Through this global partner experience, I am reminded that this is what I truly seek, for it has also sought me. It has found me in the company of the dedicated, passionate, and fearless team at PIH in Sierra Leone in particular, as well as all the other wonderful people I have encountered in the past weeks. So, as I prepare for my last days in the field, I am consciously trying to “sharpen my wits” so that I can fully enjoy all of the “magical things” patiently awaiting me— waiting for all of us— in this beautiful world. 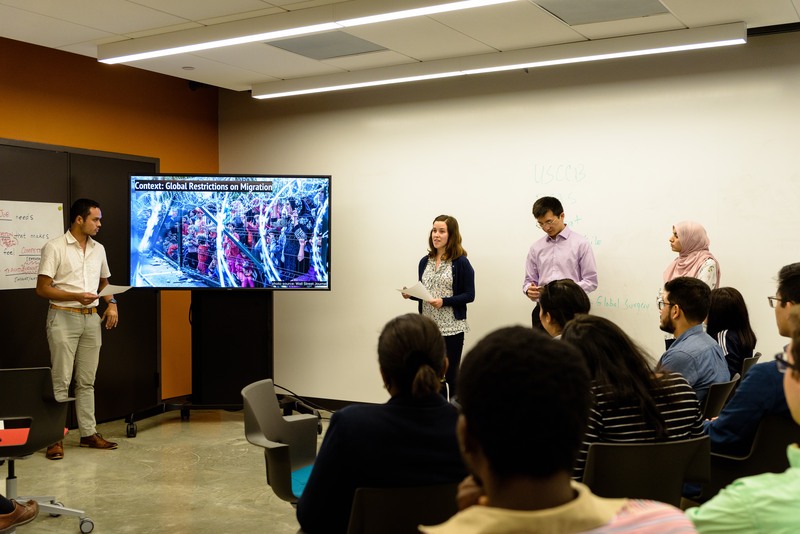 In June, I boarded a plane from Boston Logan airport to Addis Ababa, Ethiopia for the first leg of international travel with my Keough School i-Lab project. 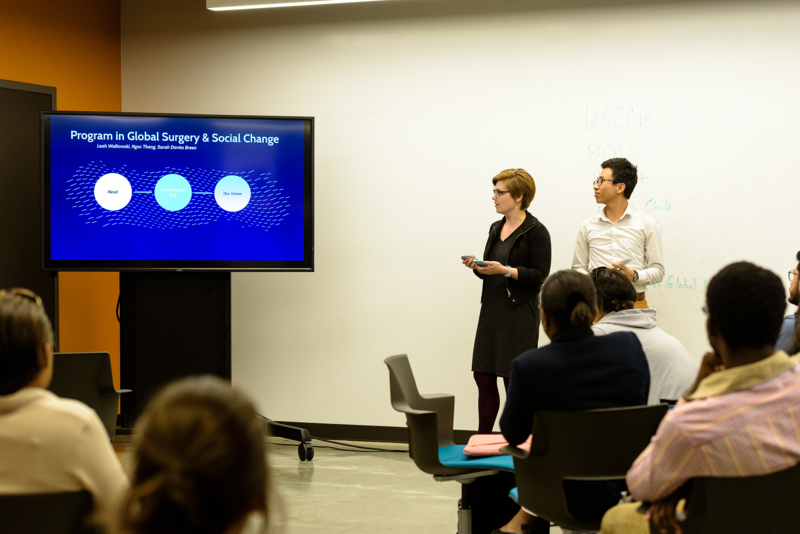 The Program in Global Surgery and Social Change is a research group at Harvard Medical School that is working to improve surgical outcomes in low- and middle-income countries through evidence-based national health policy and advocacy. In Ethiopia, PGSSC is a part of the implementation partnership known as Safe Surgery 2020, funded by the GE Foundation, and working in collaboration with the government of Ethiopia. 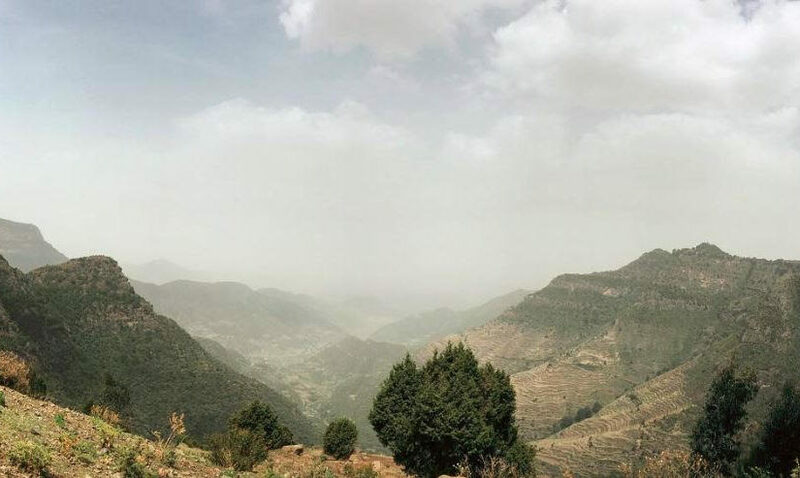 I traveled to Ethiopia to observe and learn about the partners working there under the umbrella of SS2020, as well as the Ethiopian government’s national plan for surgery, called Saving Lives Through Surgery, or SaLTS. 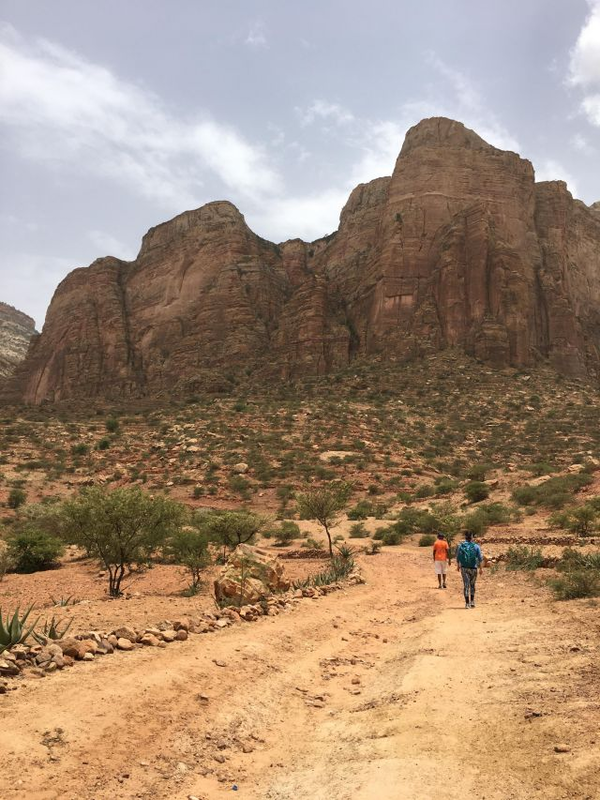 At the start of a weekend hike to visit some of the rock-hewn churches in the region of Tigray. There are over 100 churches carved from the rock in the cliffs in this region that date from around the 10th-15th centuries. When I left for my work this summer, I was admittedly a little disappointed not to be “doing” anything. 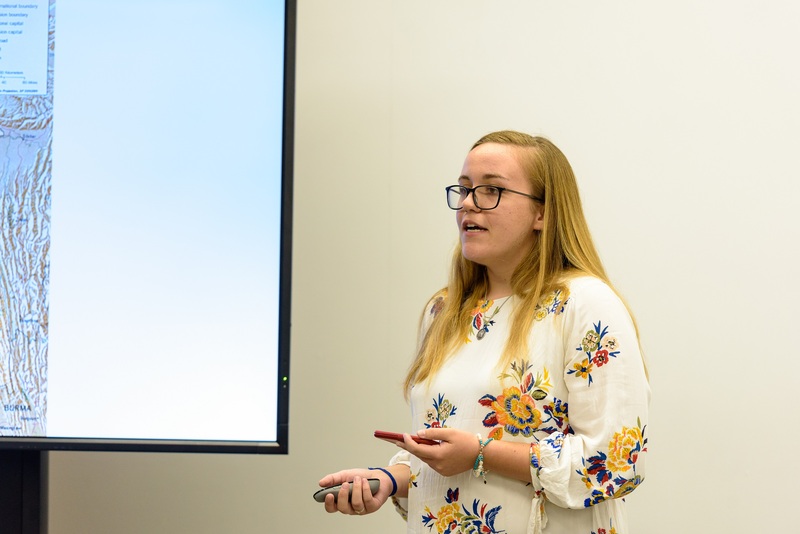 Our project plan could essentially be boiled down to “listen and learn,” while many other groups had detailed execution plans from their partner organizations. My own biases for “doing” in the front of my mind, I decided to embrace the opportunity to simply be present, observing and reflecting, and allowing those around me to drive our conversations and ultimately the direction of my final product—teaching cases designed to “tell the story” of surgical policy and implementation initiatives in low-resource countries. In truth, our group has been incredibly fortunate to be supported in such a vaguely defined project. 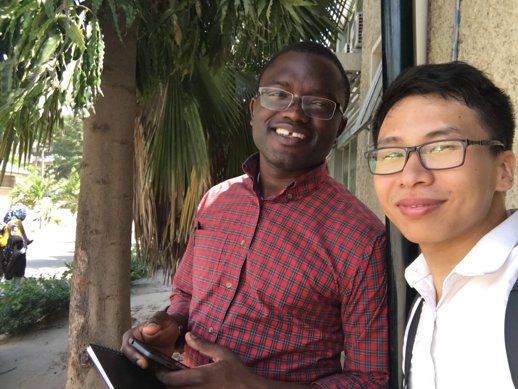 Having previously worked as a grant manager, I can tell you I do not know many funders (even in higher-education) who would support such an exploratory mission—an opportunity I wanted to fully embrace as I entered interviews with my teammate in Addis Ababa, Ethiopia. Having a coffee with some young surgeons that we spoke to about the government’s SaLTS initiative. 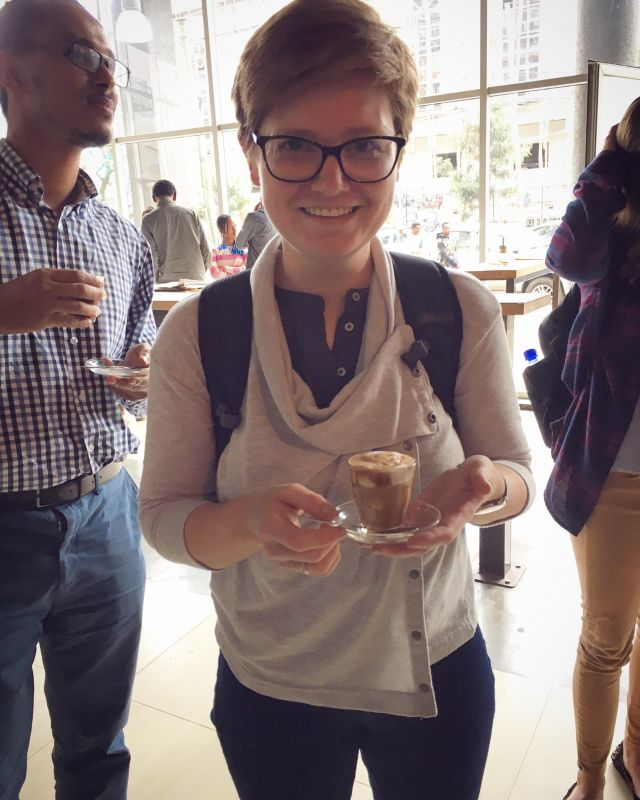 As a coffee lover, I was very excited to be in Ethiopia, the “birthplace” of coffee! A few key themes emerged from my listening tour, one of which I think is particularly relevant to the i-Lab and to our summer global partner experiences: the challenge (and reward!) of partnerships. It is not a secret that true partnerships are not easy to form or maintain, but when properly nurtured, they can bring about lasting relationships, changes, and outcomes that would never have been possible otherwise. This has been true for the SS2020 initiative in Ethiopia, a collaboration across not only organizations, but industries, nations, and cultures. Despite many initial challenges, the early participants from SS2020 in Ethiopia all shared some version of essentially the same story with me: once they took time to get to know their collaborating partners, via improved communication and personal relationships, the professional relationships became stronger, and their work was both more effective and more rewarding. With my tendency to consider myself a “human, doing” I know how easy it is to get focused on the task at-hand, rather than the people we are serving or with whom we are working. This was also true in some ways in SS2020, as the Ministry of Health asked SS2020 to provide their very promising leadership training to all surgical hospitals in the country. 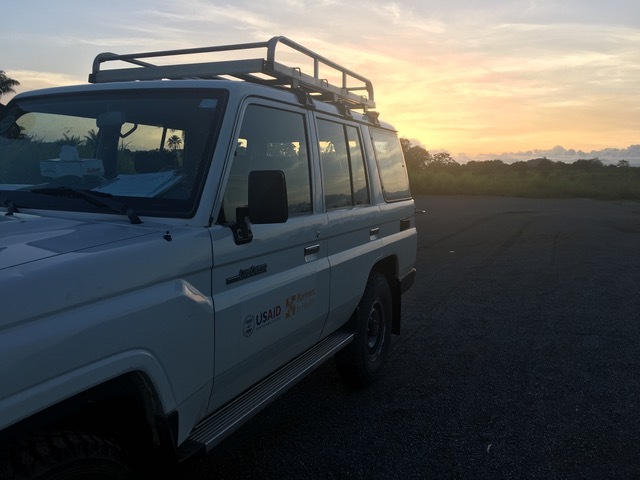 “Safe Surgery is not about the leadership training [alone]—it is about the action plan, and mentorship, and all of the other resources that fill the gaps,” said one informant, referring to the follow-up task each team is assigned. 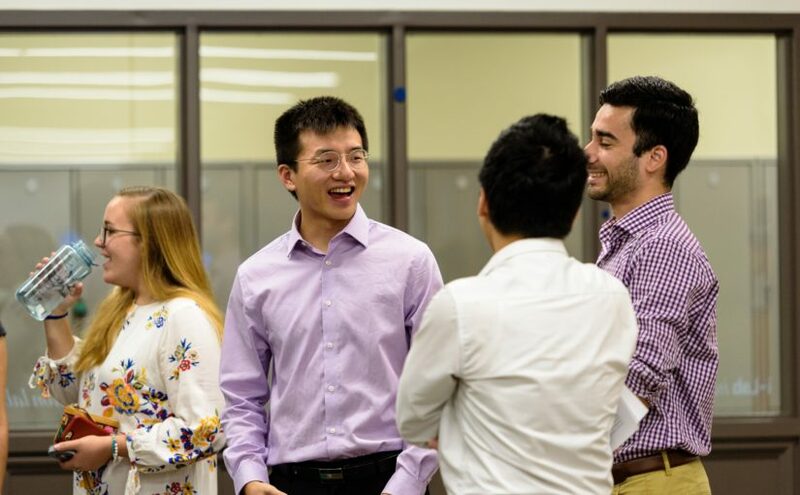 With the support of mentors, teams collaboratively identify a barrier to surgery in their own hospital, and create a step-by-step action plan to address the need. The surgical teams who have completed this exercise have succeeded at a remarkable rate in addressing their barriers, but—perhaps even more importantly—they have improved their communication and their relationships with one another. It didn’t used to be this way. Before, surgical teams didn’t communicate outside of their limited, individual roles in the operating room, we were told, which led to a lack of coordination that affected patient care. Now, the entire team knows the responsibilities of each of its members, enabling them to work more effectively in both planning for and executing surgeries. This further improves outcomes for patients, creating lasting changes in the operating room, hospital, and health-system culture that will survive long beyond the life of any purchased generator or newly acquired technical skill. Unfortunately, partnerships alone cannot fix under-resourced health systems, deteriorated infrastructures, lack of cash flow, and the many other barriers that prevent the average person from receiving safe and affordable surgery in every country. However, with partnerships, the load that must be carried clearly gets a little lighter, and the path a little more clearly lit. We may not be going very fast with our work this summer, but the value of sitting still and listening—and bringing others along with us through our teaching cases and other forms of storytelling—cannot be underestimated. In fact, with these resources and this newly-formed partnership, it is my hope that Harvard’s PGSSC and the Keough School will ultimately go much further than I can currently imagine. I arrived in Tanzania on a mild Tuesday afternoon at the Julius Nyerere International Airport in Dar es Salaam. This is only the second foreign country I have been to besides the U.S. One year from the day I knew that I was going to study at the Keough School of Global Affairs at the University of Notre Dame, my study has taken me to two different continents: North America and Africa. 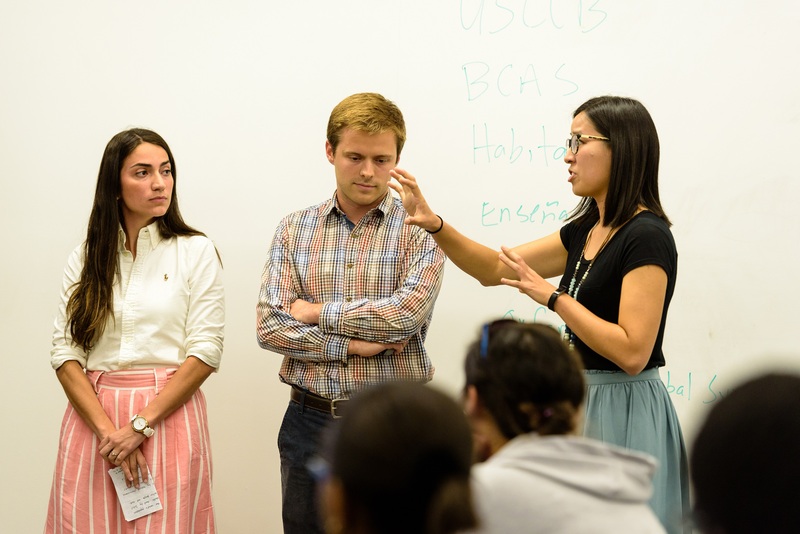 One of the core parts of my Master of Global Affairs program is the Integration Lab, where the students have a chance to actually use their knowledge from class to apply to real-world challenges. Working in a team of two to four students, we partner with organizations around the world and support their work. 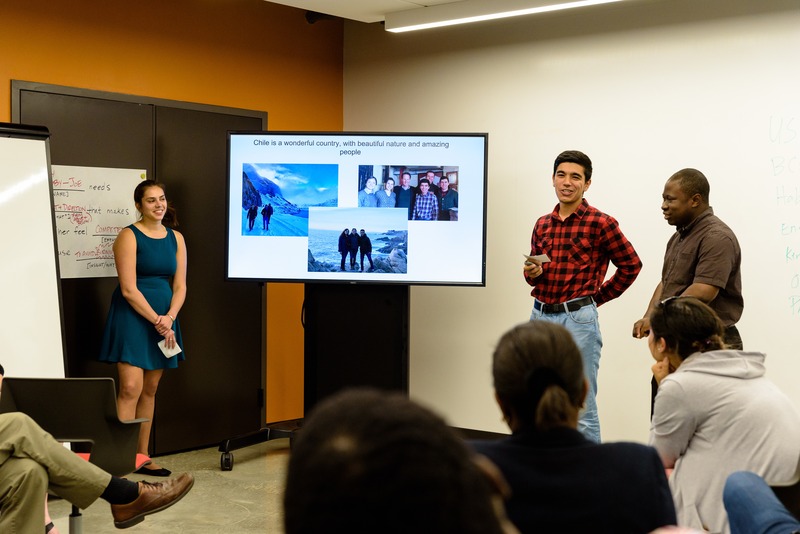 Luckily, my team was chosen to collaborate with the Program in Global Surgery and Social Change (PGSSC) at Harvard Medical School to support its work of promoting universal access to safe, affordable surgical and anesthesia care. Desmond Jumbam (from PGSSC) and me after an interview at Muhimbili hospital. It is this partnership that has brought me to Tanzania—to learn how this country, as one of the world’s pioneers, developed its own National Surgical, Obstetric, and Anaesthesia Plan (NSOAP). 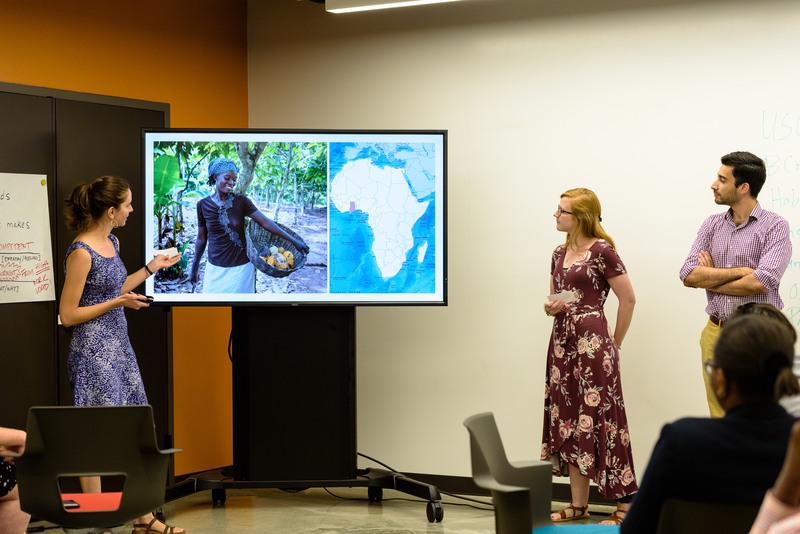 At the same time, my other two teammates, Leah Walkowski and Sarah Davies Breen, are now working in Ethiopia and Sierra Leone on the same issue. We truly hope to contribute to the work that PGSSC has been doing to inspire more countries around the world to address access to surgical care. After two weeks in Tanzania, I have fallen in love with this beautiful country. Understanding that the work I am doing is going to improve the surgical system in Tanzania, and help all the lovely Tanzanians I have met, I am really glad that I can contribute something meaningful to this country. Now, let me tell you: How did I fall in love with Tanzania? Me at the sandy beach on Bongoyo Island, a small island 30 minutes away from Dar es Salaam. Nature tends to attract people to Tanzania. The wildlife in Serengeti National Park, Mount Kilimanjaro (Roof of Tanzania), and the beaches are the top three attractions. 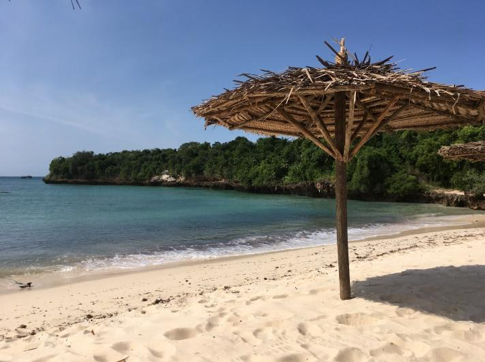 I have not yet had a chance to experience the first two, but I can definitely tell you that the beaches in Tanzania are the most beautiful I have ever seen. Let me show you the pictures and you can see for yourself. 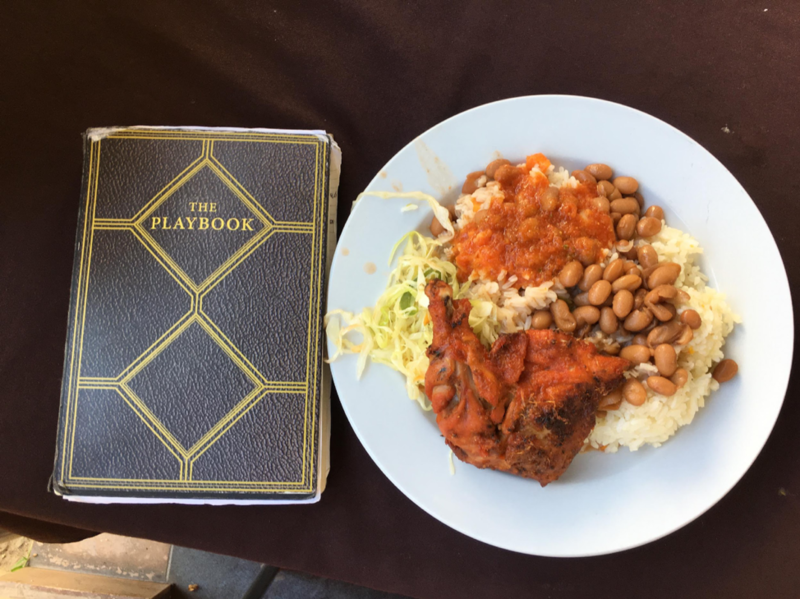 My lunch at the Muhimbili hospital after an interview (pilau + beans + kuku). Tanzanian food, like the food of many other East African countries, is influenced by Indian culture. However, the mixture of cultures creates the uniqueness of the food here. In Dar es Salaam, you can easily see the signature of the sea in the meal. Ugali (maize porridge) with samaki (fish) is a must-try dish when you are in Dar. Usually, what I have every day is pilau (rice cooked with coconut milk), beans, and maybe kuku (chicken). You can fill your empty stomach for a bit more than $1. If you eat seafood, even in a fancy restaurant, it will only cost you $10. Sound tempting? Dar es Salaam in Swahili means, “haven of peace.” Most of my time in Tanzania is in Dar, and all of the small things here have given me a glimpse of Tanzanian culture which are enough to make me fall in love. 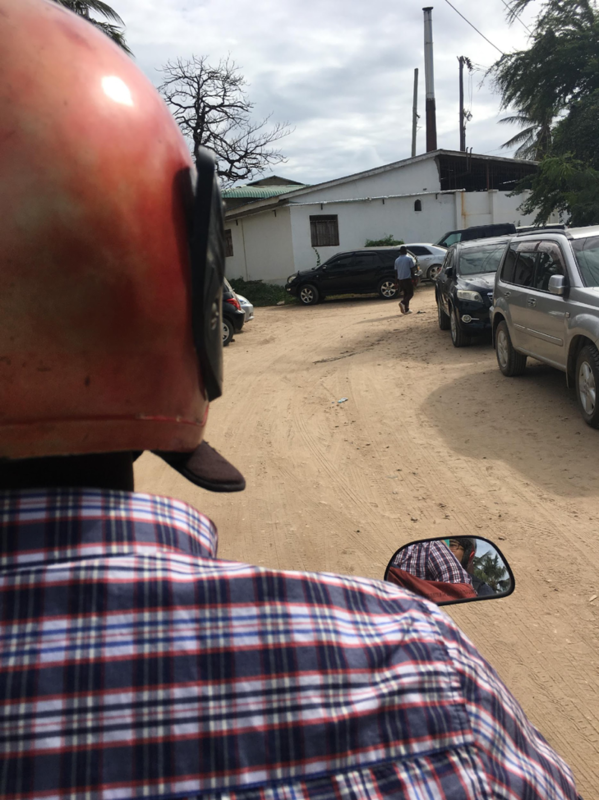 The main transportation in Dar is cars, but this is not the best way to travel. Find yourself a bajai (motorbike with a roof); it is an easier way to avoid traffic jams in this city. However, the best way is to find a bodaboda (motorbike). Using a bodaboda, you will never have to worry about the jam, and most of all, they are the experts in the area. Sometimes you will find yourself on a no-name road, which is actually the shortcut to your destination. All in all, it is the people that made me immediately fall in love with this country. Tanzanians are friendly and kind. You can feel their warm hospitality in every conversation. People say “hi” to each other whenever they meet on the street, even to strangers. There are many ways to say “hi” in Swahili. A foreigner usually learns the normal way in a guidebook which is, “habari.” Have you ever heard about “mambo”? This is the street way to say “hello” that I learned from my friend Rajo, shown here. Tanzania also surprises me with all the amazing people that I randomly meet everywhere. Remember the man who gave me my Tanzanian name? His name is Banto (people call him Picasso). He sells paintings in Dar during the weekend to finance his school of art for the poor children in his village in Msata (2-3 hours from Dar). Picasso, Kelvin (his first student), and me. Kelvin was sent to the Bagamoyo College of Art thanks to Picasso. 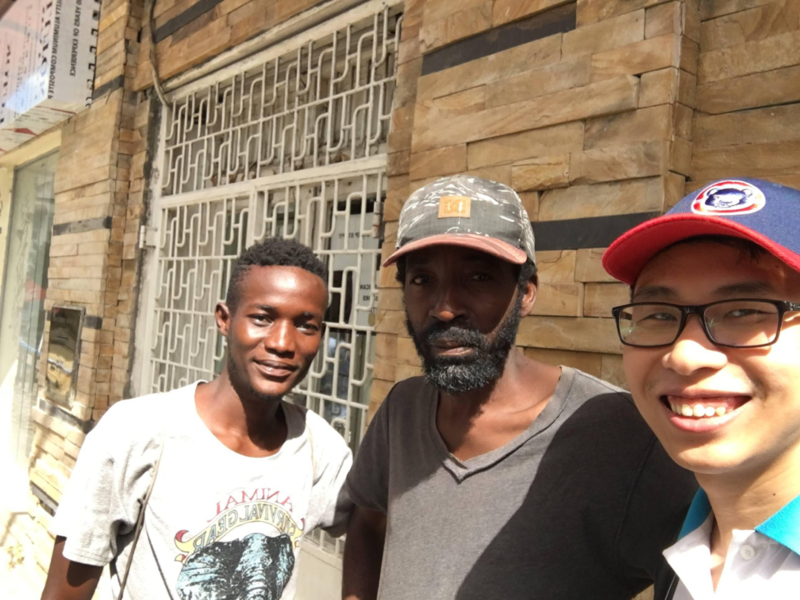 So if you ever find these two men on the street of Dar, please do not hesitate to buy a painting from them—you are supporting kids from a poor village to study art, and you may be helping more students like Kelvin to go to college. There are so many amazing people that I have met in Dar, I cannot list all of them here. It could be Paschal, an entrepreneur who is opening his own company to develop a system that helps students to learn through SMS. Or Jeremiah, the president of the student organization at the University of Dar es Salaam, the top university in East Africa. It would not be false if you call him a politician. He plans to run for Member of Parliament of Tanzania in 2020. He is also now establishing his own start-up. It is just my second week in Tanzania, and I cannot imagine how many more amazing people I will meet in the next five weeks. How can I not fall in love with this place, right?